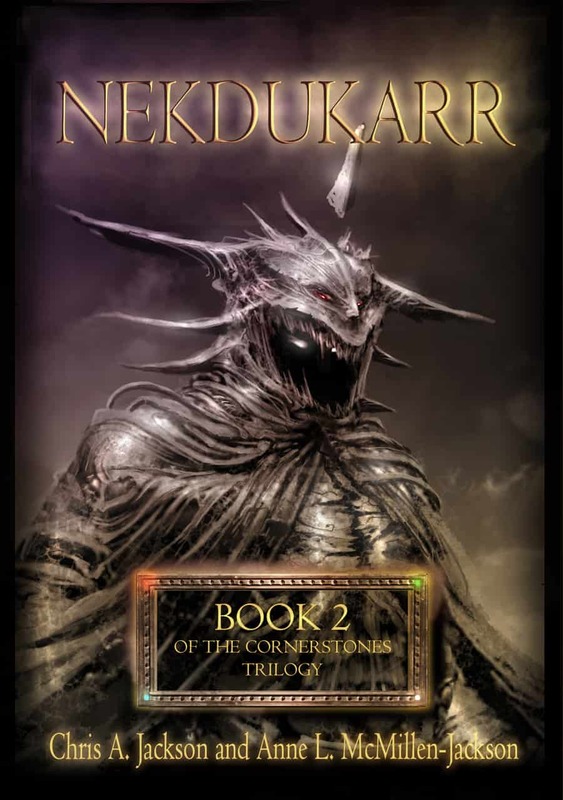 The companions have stolen two of the four precious Cornerstones, artifacts of unbelievable power, from the Nekdukarr Iveron Darkmist. Furious at this interruption of his plans to use the Cornerstones to wage war, the Nekdukarr will stop at nothing to get them back. So while the companions pursue the last two stones, Darkmist and his assassins pursue them. But Iveron is not the only ambitious member of Clan Darkmist. Lysethra and Calmarel, matriarchs of the clan and Iveron’s sisters, have discovered that he will soon possess a source of incalculable power. With this might behind him, they have no illusions that their brother will confine his conquest to the surface world. Their hearts are as dark and twisted as his own, and they have a secret: Jundag, who fell under the Nekdukarr’s blade in Zellohar. But death is no refuge from the servants of the Dark Gods, and the Sisters Darkmist weave Jundag’s tortured mind and soul into their web of intrigue. As the armies of light and darkness gather for the impending battle, one thing is clear—whomever possesses the Cornerstones will decide the fate of the world.